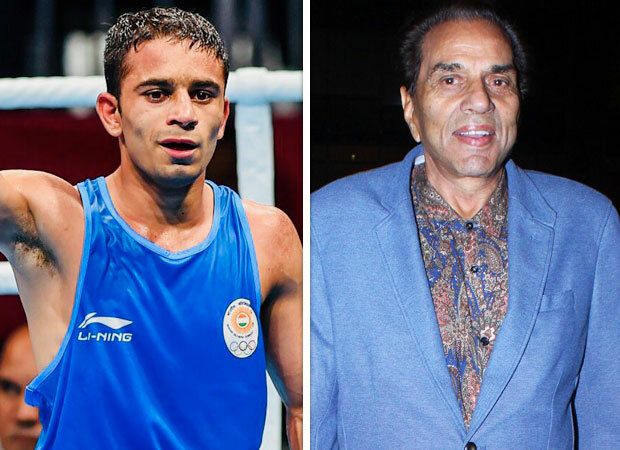 Amit Panghal has made the nation proud with his recent win at the prestigious Asian Games that is currently being held in Jakarta. The champion defeated one of the most popular players and an Olympics champion Hasanboy Dusmatov from Uzbekistan in boxing. Amidst the appreciation flowing in from all quarters, Amit expressed his desire to meet Dharmendra and received the most amazing response from the veteran superstar. जकार्ता में स्वर्ण पदक देश को समर्पित.. बधाईयों के लिए सभी का आभार ???? On the work front, Dharmendra was last seen in Yamla Pagla Deewana Phir Se alongside his real life sons Sunny Deol and Bobby Deol, which released last week, on August 31. 2016: The Year of the Palestinian Writer?